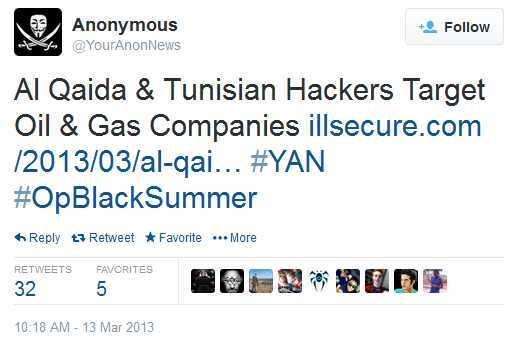 In March 2013, a hacker group called the “Tunisian Cyber Army” (TCA) claimed that they, in coordination with the al-Qaeda Electronic Army (AQEA), (or AQECA – al-Qaeda Electronic Cyber Army), have hacked several U.S. government websites. The attackers stated that they were assisted by “Chinese hackers.” In addition, the groups claimed that these attacks were in preparation for #OpBlackSummer, a cyber campaign designed to target U.S. websites between May and September 2013. Regardless of the authenticity of these attacks, we clearly see the increased motivation of AQ-affiliated cyber units to wage attacks against Western targets. We would not be at all surprised to see sophisticated AQ attacks in the near future. We can assume that they are developing cyber attack tools, or even worse – purchasing advanced tools from the underground black market. The release was prefaced by an introduction from renowned jihadi ideologue Abu Sa’ad al-A’mili, who promised that the program would be a qualitative move for secure communications between jihadists and a surprising shock to the enemy. It should be mentioned that the GIMF provided a description of the program on their website, as well as tutorials in Arabic, English, Indonesian and Urdu. 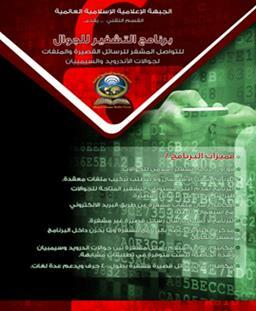 In December 2013, the exclusively online AQ propaganda distributor, the al-Fajr Media Center, published a new encryption program called Amn al-Mujahid (“Security of the Mujahid”) on jihadi forums, accompanied by a 28-page instructional manual. Al-Fajr said that AQ’s Technical Committee sought to develop an encryption program equipped with the latest technology that would enable the user to use advanced encryption standards. Although these developments are merely versions of available programs, the steady introduction of programs such as these reveals jihadi interest in cyber security and cyber warfare. Pingback: Digital Forensics, Inc. Online Jihadists Express Interest in Cyber Warfare and Cyber Security | Digital Forensics, Inc.